Azure Analysis Services now supports the shared On-Premises Data Gateway which is used with Power BI, Flow, Logic Apps, and PowerApps. This has been a top ask in our user feedback. The shared gateway allows you to associate many services to one gateway or you can continue to use a dedicated gateway. With the shared gateway, managing connectivity is much easier. For example, you can configure multiple Azure Analysis Services servers to use the same gateway just by associating each one to the same gateway. To use the shared gateway, the first step is to setup the On-Premises Data Gateway by downloading and running the gateway installer on a local computer. During the install, you will be prompted for your work or school account which will be setup as a gateway administrator in the gateway service. In order to associate your gateway to an Azure resource, you will need to be an administrator. After you set up a recovery key, you may need to change the region of the gateway. 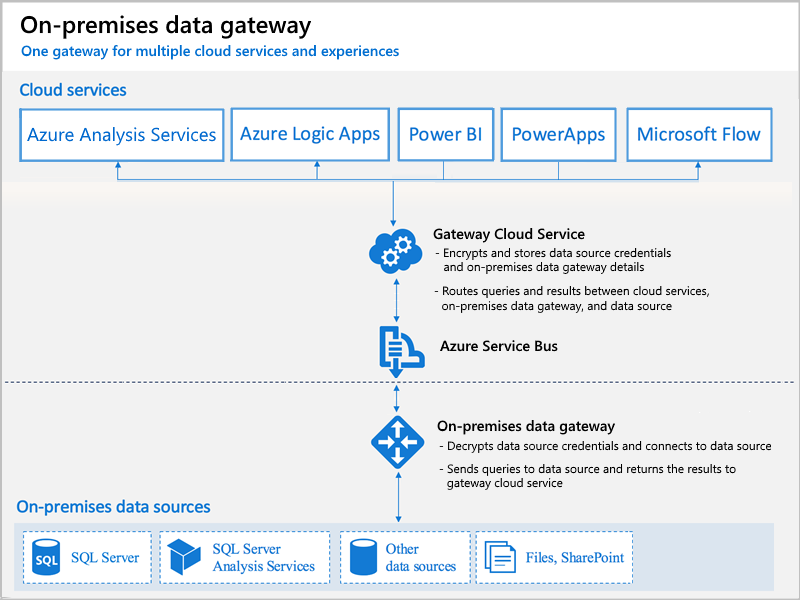 For performance and reliability purposes, Azure Analysis Services will only use a gateway resource from the same region. 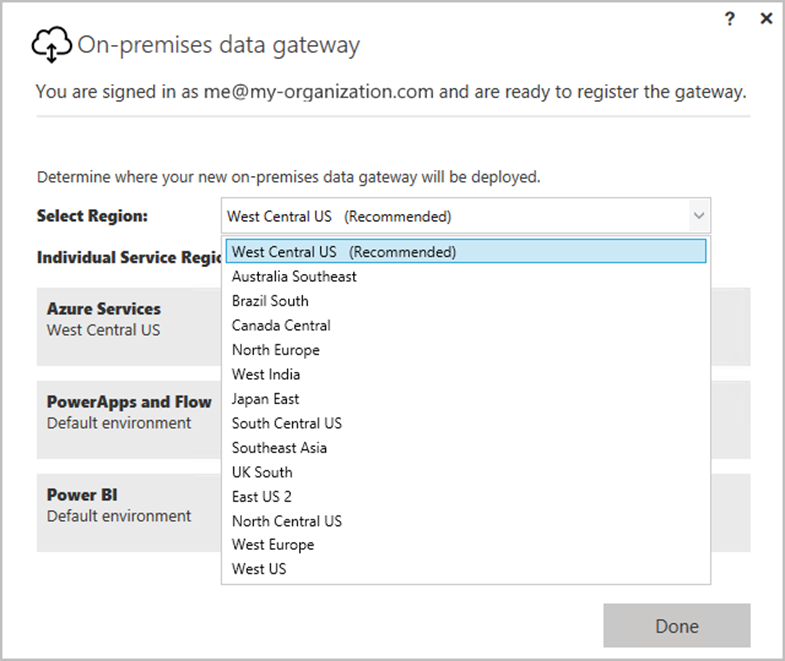 For instance, if you have an Azure Analysis Services server in the East US 2 region, you will need to have a gateway configured for that region. 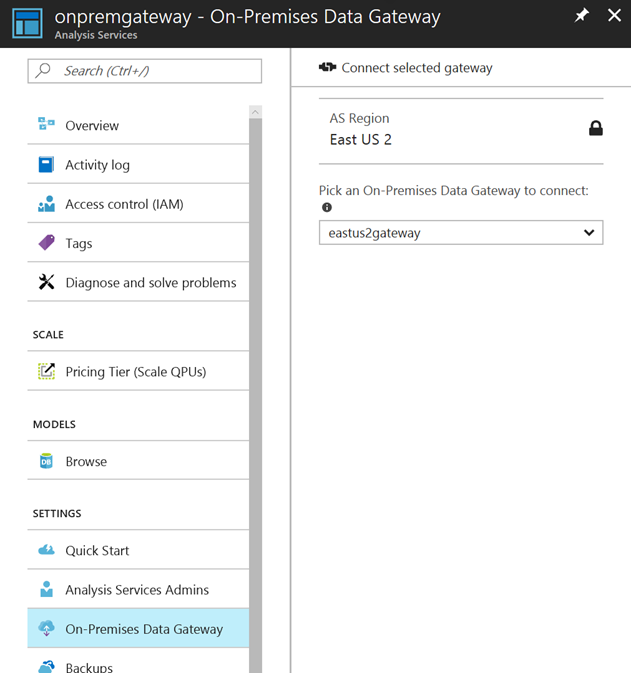 Multiple Azure Analysis Services servers in East US 2 can use the same gateway. 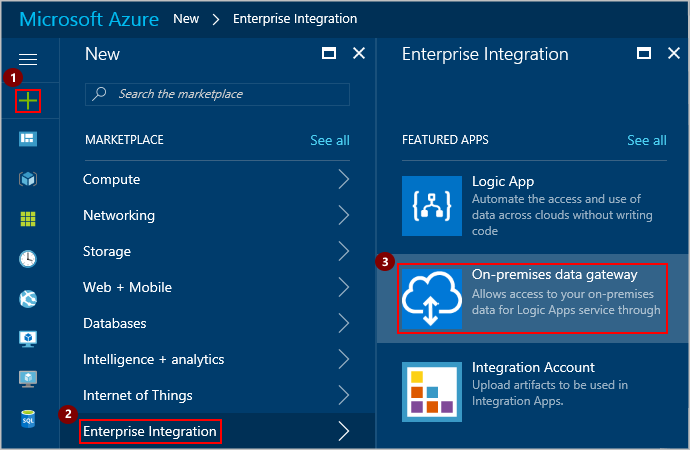 Picking the right region is required or you won’t be able to associate the gateway to Azure Analysis Services. Once you complete the setup and any needed network configuration for firewalls, ports, et cetera, you will need to create a gateway resource in Azure. You can use the same settings and trouble shooting steps as for the Power BI On-premises Data Gateway since it is the same gateway! Again, it will need to be in the same region as the gateway and Azure Analysis Services. 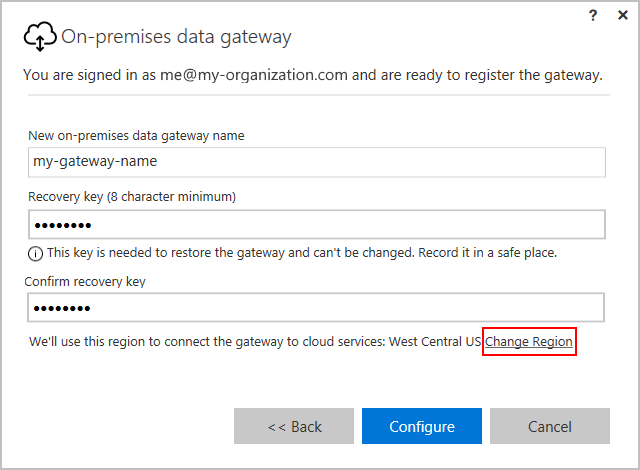 After adding the gateway resource in Azure, you can now go to your Azure Analysis Services server and configure it to use that gateway with the new gateway blade. On this blade, just pick the gateway and connect it to Azure Analysis Services. You can use this same gateway for multiple Azure Analysis Services servers in this region. You can also use this gateway with Flow, Logic Apps, PowerApps, and Power BI (if Power BI is in the same region). This is also useful for dev/test configurations. 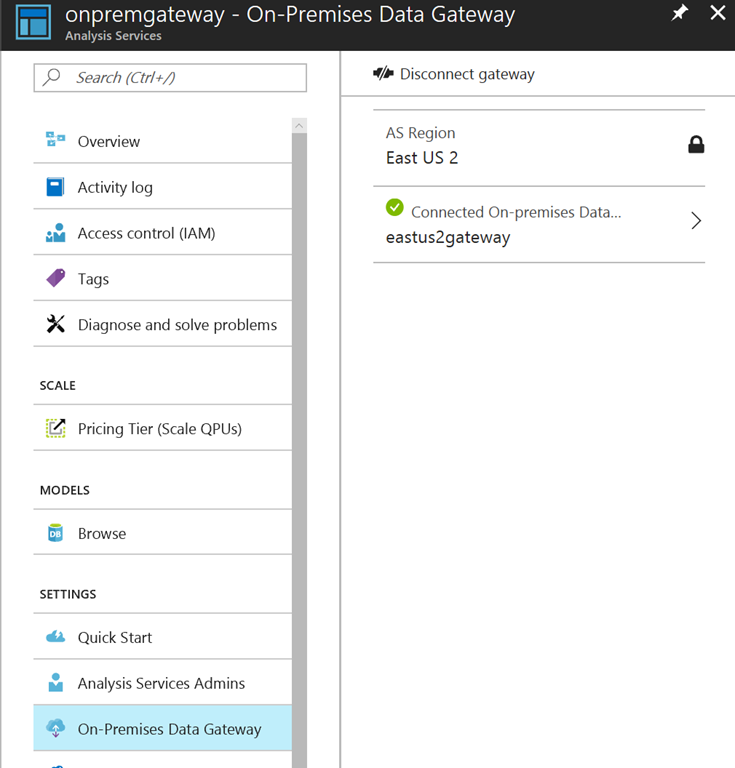 Keep in mind you need to have admin privileges on the gateway and Azure Analysis Services to create the connection, and Azure Analysis Services and the gateway need to be in the same region. Once connected, any Azure Analysis Services data source can use that gateway for Direct Query or processing.